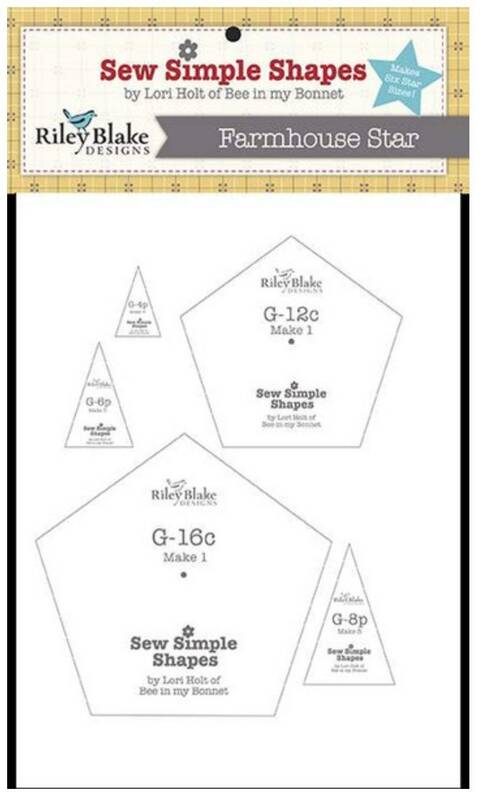 Use these templates created by Lori Holt to make 4", 6", 8", 10", and 16" Farmhouse Stars. These 12 Farmhouse Star Shapes for 5 pieced five point stars. Made of sturdy plastic, have center marks and are see through for fussy cutting. Great shop. Thanks so much.